As we seem to be experiencing a late Summer, I thought we would show you our favourite Autumn interiors before we slip into Winter permanently for the next few months. I have a love-hate relationship with the Autumn, as getting used to the cold weather is not a fun experience for me who is used to hotter climates. However, the colours that follow always makes up for it, and although the season brings a lot of typical shades of yellows, oranges, and browns, it also brings a warmth and cosiness making this time of year much more bearable. I think of cosy evenings snuggled up in a blanket in front of the fireplace during this time of year. However, we don’t consider the mornings when the suns out, and the pavement ends up covered in leaves in different shades of gold, umbers, and crimson. Our recent Bankside Apartment project unintentionally encompasses all these to add much-needed light to this space. Nothing beats a room that reminds you of walking over a bundle of fallen leaves in Vermont. 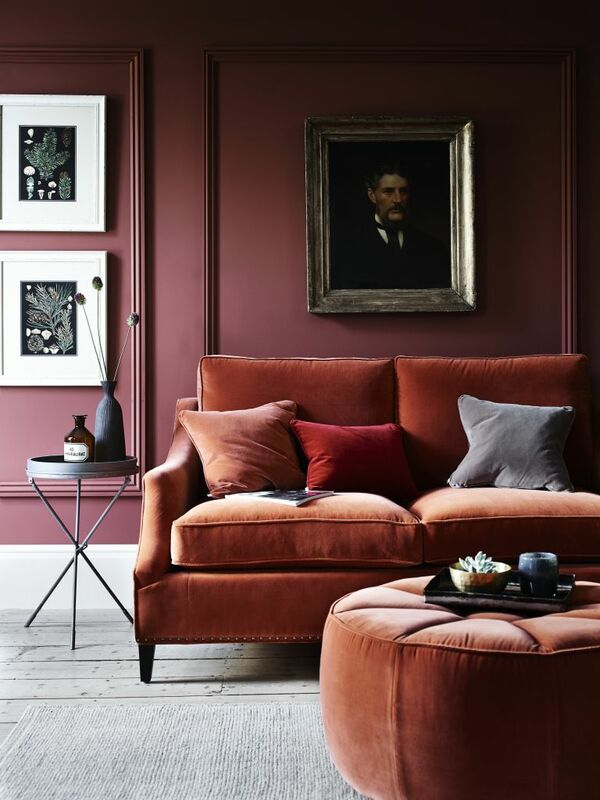 This rusted orange velvet sofa and dusky red, almost peach walls featured add warmth to this grand potentially austere living room. I would love nothing more than a duvet day in this space. If oranges and yellows aren’t your colours, why not go for a darker, dusky shades of cobalt blue and lapis lazuli to compliment natural wood furniture. These tones always remind me of the night sky at bonfire night. Incorporating this colour into a few patterned cushions like these from Zara Home makes such a difference bringing a new type of warmth to your home. If you're too nervous to go all the way with dark walls, then why not opt for a dark feature wall against the other light walls in a room. 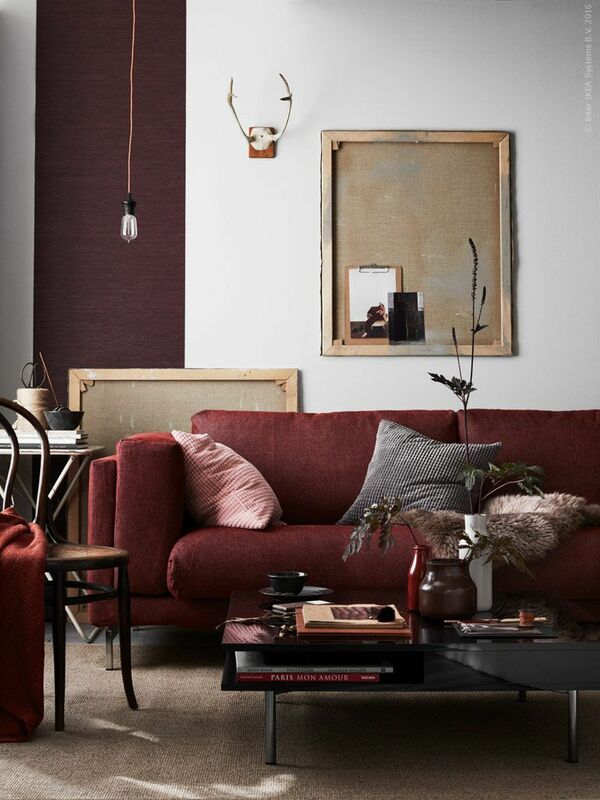 Opting for a dark cranberry or burgundy like this living room creates a dramatic backdrop and pulls elements of your room together in the process. Pumpkin isn't just for Halloween and your Starbuck latte. 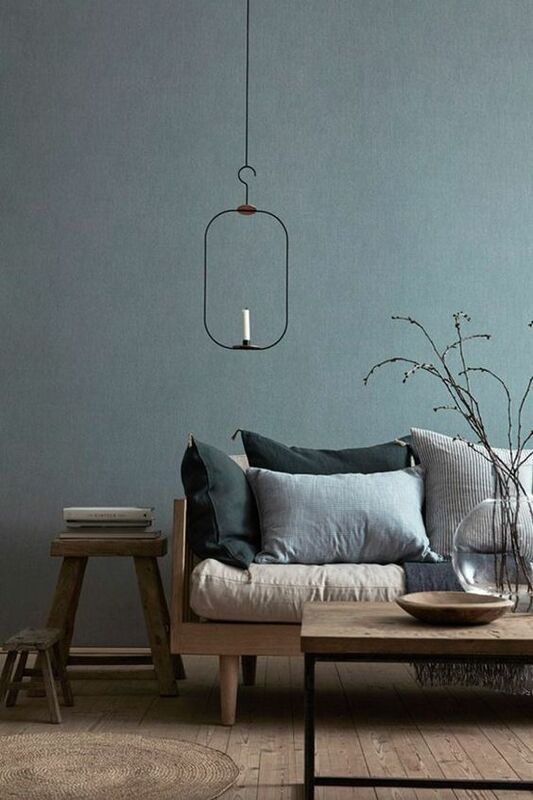 You might find the idea of this hue offensive for your home but opting for more opaque version and pairing it with a Prussian blue and some pebble greys like these cushions subdues the boldness of traditional seasonal colour while still retaining its warmth. If the cliched oranges and browns seriously aren't your cup of tea, then you can never go wrong with grey at this time of year. This option might sound cold, and lack in personality, but graphites and pewters which have touches of purple and brown are lovely to use against dark woods and other natural elements you might have in your home, allowing your interior to become a tranquil place during the colder months.